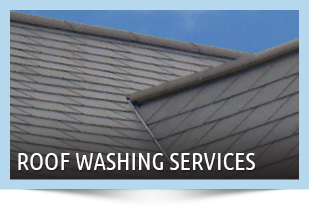 With Any House Wash or Building Wash, We’ll Give You a FREE Gutter Inspection! 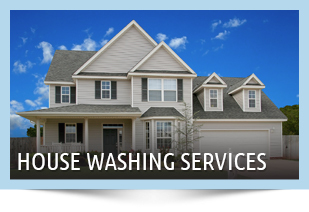 At Clean Finish Pressure Washing, the superior quality of your property is our specialty! Whether we’re addressing the needs of your residential home or commercial building, Clean Finish will produce results that will amaze as we make your property look new again. A positive first impression is priceless… But a first impression that also improves the long-term quality of your investment is a whole new level. We’re proud to deliver that. Clean Finish Pressure Washing uses professional grade equipment and bio-friendly detergents along with our softwash, non-pressure, hot water, and high pressure techniques to effectively clean any type of surface. We always assess the needs of your worksite to find a solution that is safe and effective; our customers can always rest easy knowing that they’re in capable hands with our team. We provide a variety of services to fit every need. For residential customers, we offer our softwash process to effectively clean vinyl, stucco, and brick home exteriors, concrete driveway and walkway cleaning, and non-pressure roof cleaning without the risk of damage to your investment. The Clean Finish Team offer specialized services for commercial clients to clean churches, storefronts, awnings, gas station and bank canopies, and apartment buildings. We can also clean concrete areas to remove oil, grease, dirt, mold, and algae. 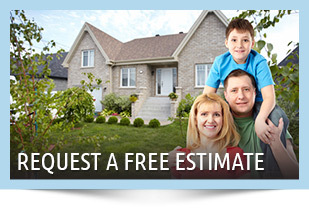 Our team is proud to deliver exceptional results in a convenient, timely manner. There’s no guesswork – Only a superior result. 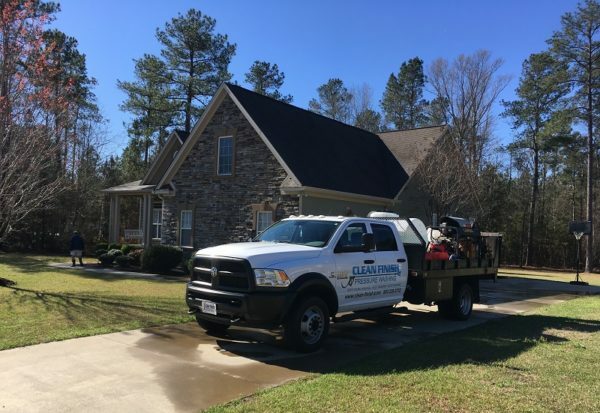 We are based in Bishopville and provide pressure washing services to the surrounding communities including Florence, Sumter, Hartsville, Camden, Lugoff, & Columbia SC. Experience the difference that professional attention makes when you put your property in the capable hands of Clean Finish Pressure Washing.